The split Royal Election Sejm in Warsaw. 1733. The Sejm convocation was in May 1733. The preceding local sejmik (assembly) sessions were held through June 1733. 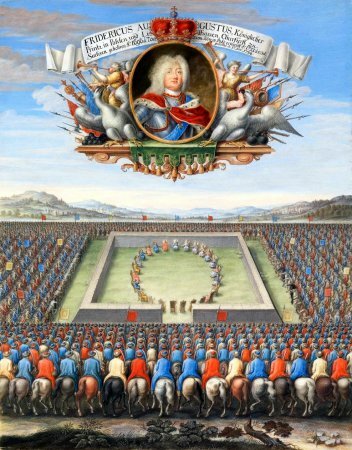 The Royal Election Sejm began on 25 August 1733 in Warsaw, and Franciszek Radzewski, the Chamberlain of Poznań, was voted as its Marshal. 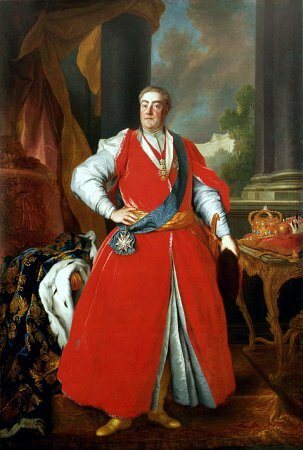 Elected as the king was Stanisław Leszczyński, who subsequently set out for a journey to Gdańsk. 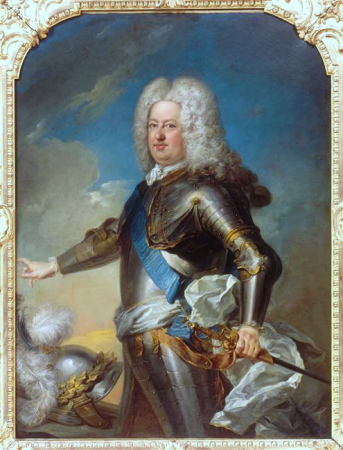 Almost at the same time, in a meadow near the village of Kamień on the far side of the Vistula river, another assembly secured by the Russian army voted in favor of another king -the elector of Saxony Frederick Augustus, the son of the precedent king Augustus II. 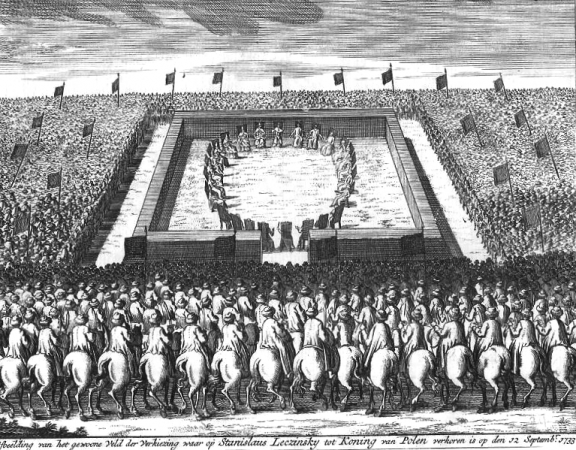 Frederick eventually arrived in Poland in January 1734 and was crowned in Kraków on 17 January 1734. See: W. Konopczyński, Dzieje Polski nowożytnej (History of Modern Poland), vol. 2, Warsaw 1986; H. Olszewski, Sejm Rzeczypospolitej epoki oligarchii (1652-1763). Prawo-praktyka-teoria-programy (Sejm in the age of oligarchy in the Polish-Lithuanian Commonwealth (1652-1763)). Law-practice-theory-programs), Poznań 1966; J. Michalski, Sejm w czasach saskich, w: Historia sejmu polskiego (Sejm in the Saxon era, in: History of the Polish Sejm), vol. 1, Warsaw 1984, edited by J. Michalski, pp. 300-349. Ustawodawstwo (Legislation), see Volumina legum, Publisher. J. Ohryzko, vol. 6, Petersburg 1860, p. 620.